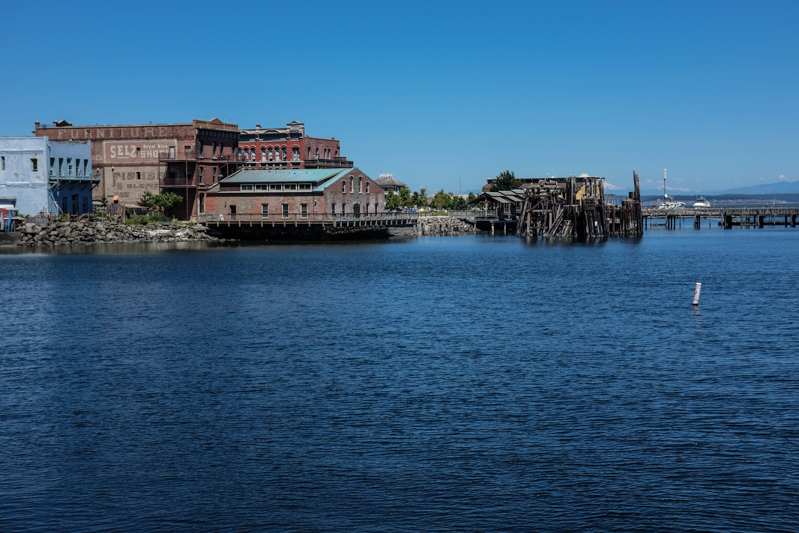 I know you want to see more photos of Port Townsend, don't you? After work we rode our bikes around some more, enjoying the gorgeous weather. Where we're staying (Point Hudson Marina and RV Park) is just beyond all those docks in the above photo, on the right. Back at our campsite we grilled up some salmon for dinner with an arugula salad, and then headed back into town on the bikes to catch the movie Chef, playing at the Rose Theater. 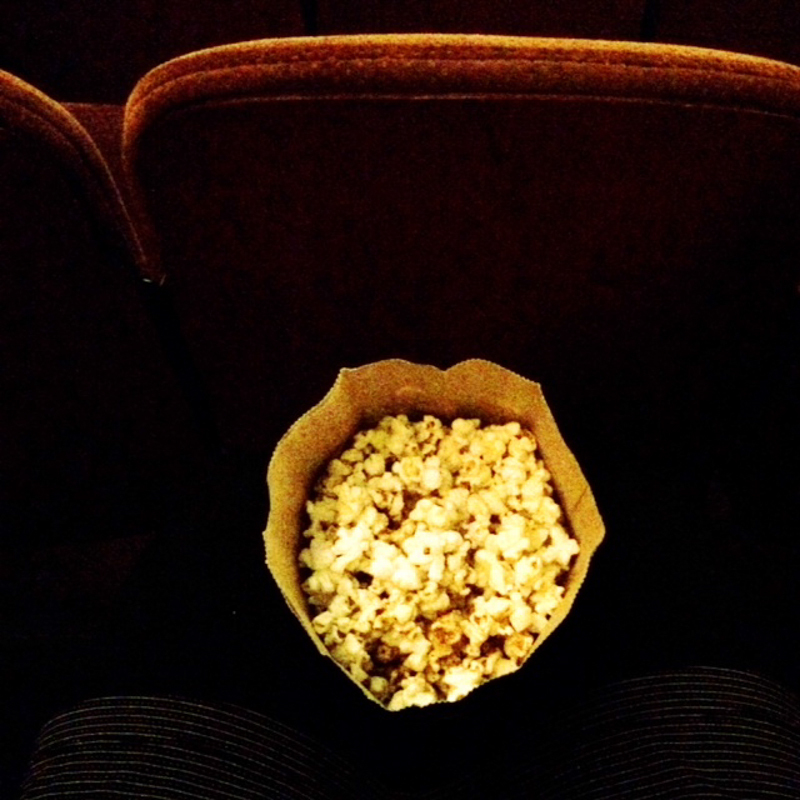 What a great theater…popcorn with real butter, and a little bar of seasonings to choose from. I put Parmesan, brewer's yeast, a little salt, and chili powder on mine. Kevin did Parmesan, yeast, and a hickory smoke seasoning. Yummy! The movie was super cute…we really enjoyed it! 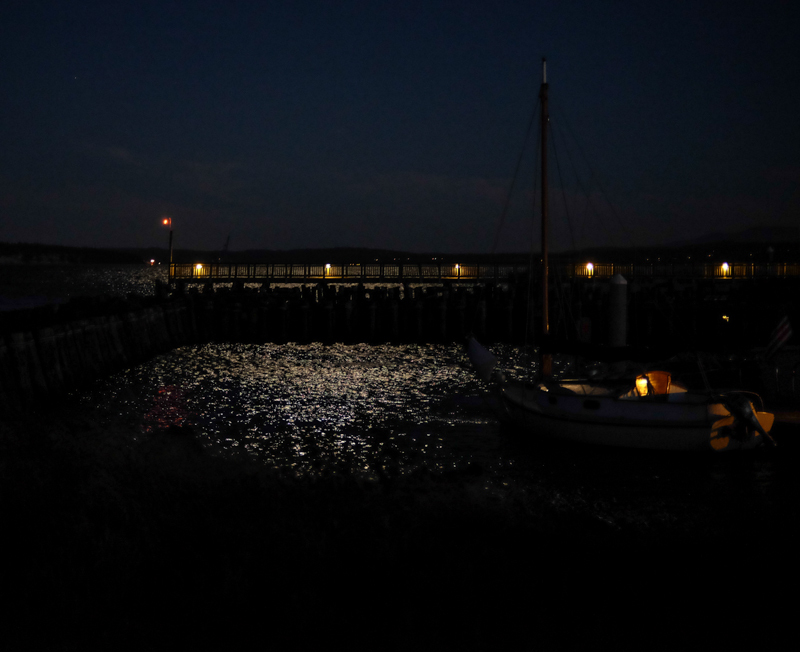 We headed back into town and rode along the waterfront a bit…windy tonight, but beautiful. 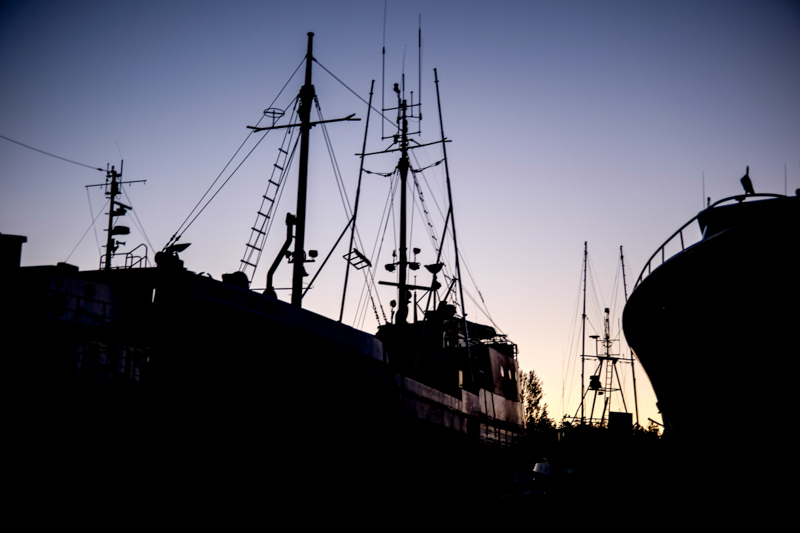 Tomorrow we're off to Bellingham!